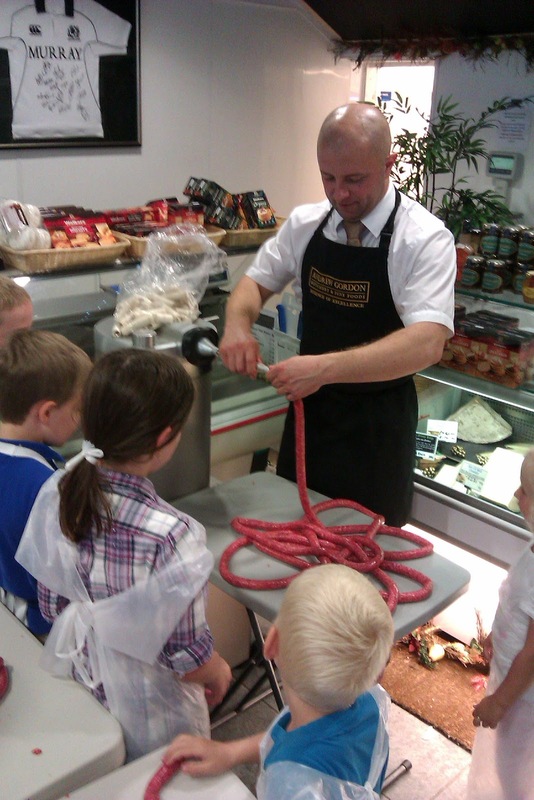 Great family fun last night at Andrew Gordon Butchery with a totally hands on Sausage Making Class for Kids (and parents too!) 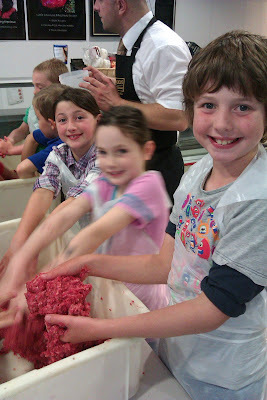 Me, boy, girl and girl's BFF donned our aprons and spent over an hour making our own and learning all about Sausages and Burgers with Butcher extraordinaire Andrew "Carnivore Central" Gordon. First off we squished up two batches (one for sausages and one for burgers) of lean steak mince with flavours and seasonings. This part was declared somewhat cold and yukky! Then Andrew introduced us to his £15,000 sausage making machine and we all stood well back out of the firing line whilst he expertly filled up the casings. Next he demonstrated making a butchers loop of trios of sausages. It looked even more complex than balloon modelling! Next it was our turn and even making simple links proved tricky but we were all nonetheless proud of our silly sausages of all shapes and sizes. Andrew popped some on the BBQ to sizzle whilst we moved on to the burgers. An ice cream scoop was the measure of choice for the perfect size of burgers and we shaped them with an assortment of presses whilst the "Burger Queens" freestyled with heart shaped creations. By now the aroma of the sausages had our mouths watering so we packed up our butchery and got down to the serious business of the taste test. The kids (and grown ups!) all had a great time and it was fantastic value for money at only £5 per person including taking home everything you made. Andrew was a congenial host who clearly sleeps, eats and breathes butchery and is passionate about sharing his knowledge. 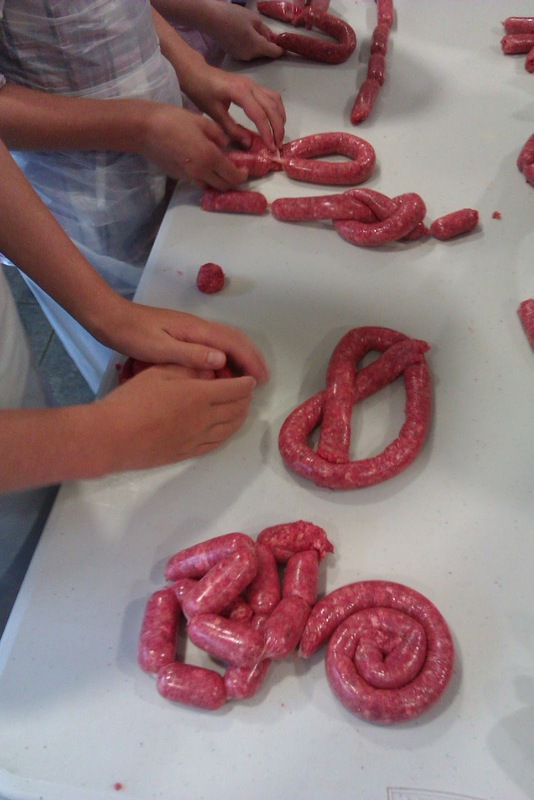 He's planning on running more advanced workshops for adults which will be even more hands on and give the opportunity to add your own flavourings and make truly individual burgers and sausages. As a result of tonights introductory session I'm really keen to go along to one of these - especially as its BYOB! 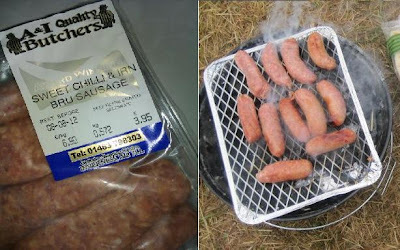 Quite fancy the idea of trying to create my own Irn Bru and Sweet Chilli sausages which I bought last week in the food fair at The Black Isle Show from A & I Quality Butchers, Inverness. They were even orange when cooked al fresco at Belladrum Festival - the perfect hangover cure! The "Fine Foods" part of Andrew's business includes cheese and he's currently in the process of teaming up with a local wine merchant to offer a Cheese & Wine event. Sounds like another foodie outing which would be right up my street! Thanks to Andrew for a great night.